I am going to a party tonight. We are going to fly to Leeds in summer. It’s going to rain, look at the clouds! He will carry this bag for you. The train leaves at 6.45. I am not going to a party tonight. We are not going to fly to Leeds in summer. He will not carry this bag for yo. The train does not leave at 6.45. Are we going to fly to Leeds in summer? Will he carry this bag for you? Does the train leave at 6.45? Paul isn’t free on Thursday. He’s working in his aunt’s shop. I will have graduated from university by May. Patrick will have lived in Hong Kong for 20 years by the next month. The train will have left by now. The first use of this tense is to talk about future actions that will be finished before some specified point in the future. John will have eaten the whole cake, by the time the birthday party starts! Another use of this tense is to talk about actions will last after a given point in the future. By next year, I will have known Monica for 30 years. The last use is to express conviction that something happened in the near past. I will have retired by the end of this year. I read 40 pages a day. If I keep up the pace, I will have read the book by Tuesday. Will they have graduated from Cambridge by July 2009? Will I have retired by the end of the year? Will you have bought a new processor by the end of this week? They won’t have graduated from from Cambridge by July 2009. My uncle won’t have retired by the end of the year. Ben won’t be eating the dinner now. He usually eats it around noon! We mainly use the Future Continuous to indicate that we will be in the middle of doing something in a specified time in the future. Polite questions about somebody’s intention . If you want to learn about somebody’s intentions, you should always use the Future Continuous rather than the Present Simple. Using the Future Simple implies that you want to influence somebody’s decision. Questions become much more objective if formed in the Future Continuous. The first use of the Future Continuous is to express future action in progress. Use this tense also to make guesses about something in the present or future. He won’t be coming any time soon. He is still at the office. To make polite questions about something or somebody. They will be playing football on Sunday afternoon. Like any of the Future Tenses, Future Continuous cannot be used in sentences beginning with: while, when, before, by the time, if, etc. The meaning is that you are going to do something immediately. I’m about to go out from the house because I’m late for my appointment at the doctor’s, I can’t answer the phone call right now. By the next year, I will have been working as a teacher for 20 years. SIMPLE PAST AND PRESENT PERFECT PRACTICE. A: …….. you already …………. (play) the new computer game? B: No, not yet. I only ………… (buy) it yesterday and I …………..(not have) the time yet. A: ………. you ………..(go) to the cinema last night? B: Yes. I was there with Sue and Louis. ………… you ………. to the cinema recently? A: I …………(go) to the cinema two weeks ago. B: So you ……………………(not see) the new action film yet. A: No, unfortunately not. ……… you ……………. (enjoy) it? B: Oh, I really loved it. But Sue ………………. (not like) it - too much action! A: But why …… you …….. (take) her with you? She …….. (tell) me last week that she …….. (hate) action films. B: I think she has an eye on Louis. She …….. (try) to flirt with him all the time. So he could not concentrate on the film. I ……… just ……….. (finish) my homework. Mary …………. already …………….. (write) five letters. Tom ……………. (move) to this town in 1994. My friend ……….. (be) in Canada two years ago. I ………………. (not be) to Canada so far. But I ……………… already ………………. 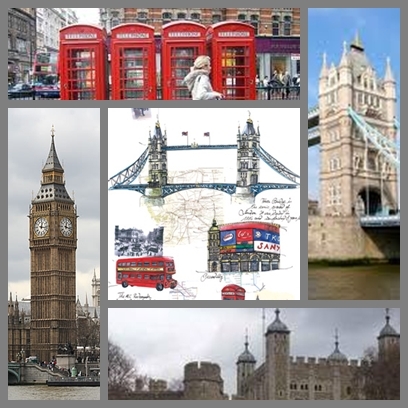 (travel) to London a couple of times. Last week, Mary and Paul …………. (go) to the cinema. I can’t take any pictures because I ………………. (not buy) a new film yet. …………….they ………………….. (spend) their holiday in New Zealand last summer? …………… you ever ………….. (see) a whale? A: Have you already played the new computer game? 2. B: No, not yet. I only bought it yesterday and I have not had the time yet. 3. A: Did you go to the cinema last night? 4. B: Yes. I was there with Sue and Louis. Have you been to the cinema recently? 5. A: I last went to the cinema two weeks ago. 6. B: So you have not seen the new action film yet. 7. A: No, unfortunately not. Did you enjoy it? 8. B: Oh, I really loved it. But Sue did not like it - too much action! 9. A: But why did you take her with you? She told me last week that she hated action films. 10. B: I think she has an eye on Louis. She tried to flirt with him all the time. So he could not concentrate on the film. Mary has already written five letters. Tom moved to this town in 1994. My friend was in Canada two years ago. I have not been to Canada so far. But I have already travelled to London a couple of times. Last week, Mary and Paul went to the cinema. I can’t take any pictures because I have not bought a new film yet. Did they spend their holiday in New Zealand last summer? We use the Present Perfect to say that an action happened at an unspecified time before now. The exact time is not important. You CANNOT use the Present Perfect with specific time expressions such as: yesterday, one year ago, last week, when I was a child, when I lived in Japan, at that moment, that day, one day, etc. We CAN use the Present Perfect with unspecific expressions such as: ever, never, once, many times, several times, before, so far, already, yet, etc. People have not travelled to Mars. How Do You Actually Use the Present Perfect? This sentence means that you have had the experience of being in France. Maybe you have been there once, or several times. You can add the number of times at the end of the sentence. This sentence means that you have not had the experience of going to France. We often use the Present Perfect to say that an action which we expected has not happened. Using the Present Perfect suggests that we are still waiting for the action to happen. We also use the Present Perfect to talk about several different actions which have occurred in the past at different times. Present Perfect suggests the process is not complete and more actions are possible. When we use the Present Perfect it means that something has happened at some point in our lives before now. Remember, the exact time the action happened is not important. Sometimes, we want to limit the time we are looking in for an experience. We can do this with expressions such as: in the last week, in the last year, this week, this month, so far, up to now, etc. "Last year" and "in the last year" are very different in meaning. "Last year" means the year before now, and it is considered a specific time which requires Simple Past. "In the last year" means from 365 days ago until now. It is not considered a specific time, so it requires Present Perfect. I went to Mexico in the calendar year before this one. I have been to Mexico at least once at some point between 365 days ago and now. With Non-Continuous Verbs and non-continuous uses of Mixed Verbs, we use the Present Perfect to show that something started in the past and has continued up until now. "For five minutes," "for two weeks," and "since Tuesday" are all durations which can be used with the Present Perfect. Although the above use of Present Perfect is normally limited to Non-Continuous Verbs and non-continuous uses of Mixed Verbs, the words "live," "work," "teach," and "study" are sometimes used in this way even though they are NOT Non-Continuous Verbs. DIFERENCIA ENTRE PRESENT PERFECT Y PRESENT PERFECT CONTINUOUS. We use ‘used to’ for something that happened in the past but no longer happens. I used to smoke a packet a day but I stopped 2 years ago. We use ‘to be used to doing’ tos ay that something is normal, not unusual. Hans has lived in England foro ver a year, so he is used to driving on the left now. They’ve always lived in hot countries, so they aren’t used to the cold weather here. We use ‘to get used to doing’ to talk about the process of something becoming normal for us. I didn’t understand the accent when I first moved here but I quickly got used to it. (I quickly used to understanding the accent). 1. Caroline …………………. (have) a walkman, now she has an ipod. 2. We haven’t seen Bob very often since he got a promotion. He’s very busy. He ………………………. (not be) so busy. 3. I’ve just got my fist job. It’s exciting but I’ll have ………………… (work) regular hours,. 4. It is difficult for Tom to drive in England. He ……………….. (drive) on the left-hand side of the road. 5. Peter is English. It isn’t difficult for him to drive in England. He ……………….. (drive) on the left-hand side of the road. 6. When Peter was young, he ………………….. (ride) a bicycle to school. 7. People from India usually find our food tasteless. They ………….. (eat) spicy food. 8. Computers ………………… (be) very expensive. Now the prices are more reasonable. 9. English has become internationa. Businessmen ……………….. (speak) English at international meetings. 10. During my childhood, I …………………. (spend) a lot of time with my grandparents. 11. Maria …………………. (think) that she would never ……………….. (live) in New York, but she …………….…. (live) there now. -ed = describe feelings or a state, so they are applied to people. -ing = describe nouns or actions which create this feeling. An interesting book makes me feel interested. In Spanish the difference is in the verb whereas in English the difference is in the adjective ending. They are formed combining the adjective with other parts of the sentence. Normally the two words which form the adjective are separated by an hyphen: blue-eyed - de ojos azules, well-known - bien/muy conocido, etc. *Note: the adjectives don’t have any plural part. a pair of high-heeled shoes - un par de zapatos de tacón alto. · You have to do this paint job over. · You have to do it over. It isn’t easy to bring up children nowadays. My brother borrowed my car. I have a feeling he’s not about to give it back. You left out the part about the police chase down Asylum Avenue. You’ve misspelled this word again. You’d better look it up. He was so far away, we really couldn’t make out what he was saying. I read over the homework, but couldn’t make any sense of it. We have serious problems here. Let’s talk them over like adults. That’s a lot of money! Don’t just throw it away. Grandpa couldn’t hear, so he turned up his hearing aid. With the following phrasal verbs, the lexical part of the verb (the part of the phrasal verb that carries the "verb-meaning") cannot be separated from the prepositions (or other parts) that accompany it: "Who will look after my estate when I’m gone?" I got over the flu, but I don’t know if I’ll ever get overmy broken heart. With the following phrasal verbs, you will find three parts: "My brother dropped out of school before he could graduate." After years of giving nothing, the old parishioner was able tocome up with a thousand-dollar donation. It’s hard to keep up with the Joneses when you lose your job! It’s typical of a jingoistic country that the citizens look down on their geographical neighbors. We were going to look in on my brother-in-law, but he wasn’t home. Make sure of the student’s identity before you let him into the classroom. The following phrasal verbs are not followed by an object: "Once you leave home, you can never really go back again." Uncle Heine didn’t have much money, but he always seemed to get by without borrowing money from relatives. Grandmother tried to get up, but the couch was too low, and she couldn’t make it on her own. It’s hard to imagine that we will ever go back to Lithuania. The cops heard all the noise and stopped to see what wasgoing on. The judge warned the stalker to keep away from his victim’s home. Whenever he sat down at the piano, we knew he was going toshow off.